I am often asked, “Are Jehovah’s Witnesses a cult?” In fact – it’s likely that many Jehovah’s Witnesses may wonder and ask themselves that question every time they go to meetings at their Kingdom Hall or to a large convention in some distant city. A significant opposition to critical thinking with an insistence on blindly following a set of dogmatic ideals, all the while giving members the false sense of self-determination and free choice. Members are expected to be excessively zealous and unquestioning in their commitment to the identity and leadership of the group. They must replace their own beliefs and values with those of the group. Members are manipulated and exploited, and may give up their education, careers and families to work and study excessively long hours at group-directed tasks, such as proselytizing, reading and studying literature produced by the group, and spending time in group meetings. Harm or the threat of harm may come to members, their families, and/or society due to inadequate medical care, psychological and emotional child abuse, policies that treat pedophilia as a sin and not a crime, etc. They regard their belief system as the truth and all other belief systems are false and originate with the devil. Questioning, doubt and dissent are discouraged or even punished with extreme shunning. The group is elitist, claiming a special exalted status for itself and its members. The leadership is not accountable to any authorities, as opposed to mainstream and benevolent religious denominations where a system of accountability is in place. The leadership induces feeling of shame and/or guilt in order to influence and control members. Members are expected to devote inordinate amounts of time to group and group-related activities. When it is properly reported in the news that the group is guilty of violating the basic human rights of its members or ex-members, the group’s leaders report such news as persecution and lies to its followers, the work of apostates and the devil. The leadership will never take responsibility for its mistakes or harmful policies. So are Jehovah’s Witnesses a cult? How would you vote? * While the meaning of the word “cult” will vary dramatically with most people in the general public, the characteristics unique to cults are not the least bit ambiguous, at least not for the experts in the field. 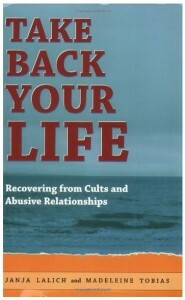 In fact, the aforementioned cult characteristics cited by Lalich and Langone are duly acknowledged by Steven Hassan, a mental health counselor and author of three books about cults; Alexandra Stein, Ph.D. and a writer and lecturer specializing in the social psychology of cults; Gillie Jenkinson, a psychotherapist; Alan Scheflin, a retired professor of law; and Jon Atack, a well-known writer and lecturer on cult characteristics. I published a paper in a college journal about the dangers of cults, listing the reasons you have stated in your post. 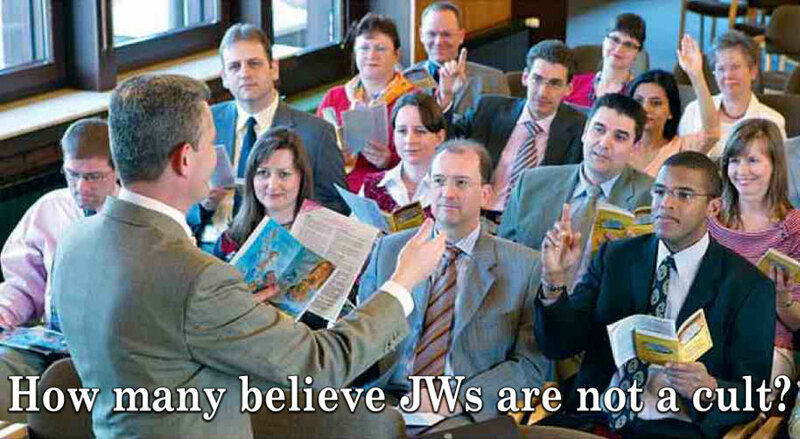 JWs are most definitely a cult! Yes, the Watchtower organization is a cult. JWs will deny this. That’s because no one will ever say they are in a cult. It’s not until you leave that you can see how you were deceived, manipulated and coerced into acting so badly. If it walks like a Duck and talks like a Duck it is a DUCK! Yes, the JW’s fit the majority if not all the qualifications of a cult. Of course they won’t say that but many within the Organization have told me thy struggle with the Idea that they are a Cult. When I was a Active JW and I was a TRUE BLUE JW it always bothered me that we were not “ALLOWED” to question anything the WT said or taught. Even though privately many were questioning the policies and teachings. If the WT had a tract record of being correct on anything that would ne 1 thing but they have the worst tract record of any religion on predictions and prophecies. Not 1 thing they JW’s have taught or prophesied has come true yet they demand 100% obedience to a failed teaching. Great article, Richard! Will share! Having been brought up in this cult I can say definitely it is a cult. It took years of counselling to get me straight and I still have aftershock moments 30 years on. My family is in shreds and apparently that our fault for leaving. It’s a very dangerous group. No different from the “Moonies” Scientologists, Jim Jones,Hare Krishnas etc. Just different approaches and different teachings. Thy all demand OBEDIENCE and no critical thinking. In fact the JW’s are worse in many ways bc they will not allow a family member to associate with someone who has left the WT for any reason. It is a Cult. Absolutely they are a cult. I fully endorse Jose Lopez and others. They once described themselves as a Happy People but nothing could be further from the truth. Cult no. Different and separate yes. They would have to be apart from this world. They would have to think differently and act differently. Anything in opposition to this world has been and always will be demonized because this world is ran by demons. In order for anyone to continue on a righteous path, one has to understand that a change in thinking is part of the journey, and that change in thinking must always be centered around the fact that divination from Jehovah will fair in consequences. Both Jesus and the Bible are ridiculed on a hourly bases, so why would the Witnesses not be. Preach on God’s people!!!! Different yes – as people that produce offspring to become mini preachers that are well below them in the hierarchy of the religion. Being one of those offspring to a so called elder I am in a position to say what an atrocious life I had until I left – it’s been said so many times – if this is the truth than I do not want to live ever. I was a JW for many many years. I have one question for Lavisha, “Why would an individual not speak to their parents who have chosen another way of life, shunning them as dead, when the Bible says “Honor your father and mother that it may go well with you”? Pls. answer that. Lavisha,you say this world is ran by demons. Then The watchtower society is run by demons also. When children have been abused, they say “it’s a sin before it’s a crime”, and they attack the victims. It happened to my child. what if that were your child? Your a prime example of cognitive dissonance. and then made excuses about it? How about that Jesus came invisibly in 1914? or that 607 BCE is an inaccurate unbiblical year that Jerusalem was destroyed while all other scholars feel it was 586 BCE? Is there message also to protect the Religion but not the Victim in Child Molestation? So what is the message they are preaching? It changes so often a person really does not know. They have been wrong 100% of the time on any predictions they made and have NEVER been accurate 1 time. I have never seen or read where the WT apologized to anyone for their duff and erroneous prophecies. Or for telling people back since the 1960’s do not get an education bc you will never have a chance to use it. Just preach and make converts The End is near! The End is imminent. How sad and how wrong. Their message is a confusing one that changes with the wind. 1914 is a fallacy and Jesus did not return that year. Thw entire religion is a cult. Much said and done to expose the Evil Watchtower’s control over peoples’ thinking, emotions, actions. How and what knowledge have those set free acquired to realize God in Truth, Justice, Rightiousness? Because there IS God who knows Us All, each and everyone, and without partiality and knowable through the Book of Creation/Created and our consciences. We are born with knowledge varified by our spirit in harmony with The ONE that there is no greater. Not to preach but to encourage to seek and find Our Way in associate with The One and Only God for a better life now and all future generations. Let us offer to share better than the lies, deceptions of religions, politics, most man-made systems. We need blessings not continued curses. I was in the Cult for 49 years. My wife was born into it and got out after 52 years. We are now Born Again Christians and follow the real Truth…the Lord Jesus/Yeshua as the only way, the only truth and the only life. For years I had an uneasiness about the teachings and we were told it would be Armageddon by 1975 and our Kids would never grow up in this System. Our oldest daughter is now 46 and has 2 grown up Kids who are 20 and 18 years old. The Watchtower religion actually work against Yeshua/Jesus Christ and have never once bent/bowed the knee to the name Above every other name in heaven, or earth or under the earth Philippians 2. When the Apostle Paul was blinded on the road to Damascus, the Lord Yeshua (not J……..h) said Why are you persecuting ME? There was nothing about the false god mentioned above. The so called name of God the Father is never used in the Greek…..so why use that name? It is because of the root of the occult that the Tower is based upon. So glad we are set free and into the real Love of Yeshua our redeemer and Lord. I’m read this with tears in my eyes. Your story touches my heart. I too, was raised up in this demonic religion. I was dissfellowshipped over twenty years ago. For years I walked around thinking I was gonna die at Armageddon any day now. Through different ppl God woke me up. I now have a close relationship with Jesus. I’ll be getting baptized December 2nd in the name of JESUS! The only thing I’m sad about is my family is in there. David,thank you for that glorious testimony. It grieves me when people stop being JWs and turn their backs on true religion. There is still a ministry that is so pressing. Thank you James and Kobie, The Bible clearly states that it is belief in the Lord Yeshua that leads to Salvation. If we confess with our mouths that the Lord Yeshua is Christ our Saviour we will be saved. So why a ritualistic religion that controls peoples lives and saves no one? They actually keep people away from the Truth of the Lord Yeshua. The cults rule by fear and intimidation and that is why most stay in it. The Watchtower religion teaches its members to hate and judge others….where as Yeshua told his true followers that they are to Love their enemies and to Not judge anyone, Matthew 7. The corrupt leaders seem to think they are immune from this teaching of the Lord. We have learnt to BLESS and not curse. We even bless the people who call us Mentally Diseased..
As Hebrews 12 tells us, that if we have bitterness, it will became a cause of stumbling and cause us problems…whatever we Sow we shall reap, so if we sow hate we will reap hate, if we sow judgment that is what we will also reap, but the WT do it all the time. We pity those still trapped in their clutches…we pray that the Tower will develop more and more cracks and that the true light of Yeshua will flood in and the genuine lovers of God will roll out. Just their blood policy alone – not even being allowed to possibly use your own blood for a critical surgery, and the resulting many thousands of deaths, including innocent little children – that in itself would have convinced me that it’s a cult, and a dangerous one at that. And, of course, the huge plethora of all the contradictions, flip-flops, and failed prophecies would have convinced me as well. All their arrogant, demeaning, and extremist policies, especially those involving their views on women – that also would have convinced me of their obvious cult status. But the combination of ALL of that together – well, how obvious could it possibly be? It just screams cult! I lost my wife, my children,my home and life as I knew it for 25 years to watchtower. I see no difference between watchtower and Jim Jones. This is a sinister murderous cult that is every bit as evil as Hitler. For many years the consensus is that Hitler should have been stopped at Munich. What will be said about the apathetic failure to stop this cult.? 1.Charles Russell was a Freemason. 2.JW Policy on Child Molestation. I have been a baptized witness for five years and I have never been so miserable in all my life. I have recently found out that Gods name really isn’t Jehovah at all and that the organization has not been blind to this at all just to ashamed to tell the public that’s the sick part. My husband is completely brain washed I cant even convince him to read and do research on these people I want out but if I try to dis fellow myself he threatens me with divorce. The founder of this organization was a sick man and a part of the occult, I pray for my husband so that the creator will show him the light as myself. Thank you ever so much I needed support today of all days God bless you. Frank. As a former Catholic and former JW I disagree with your thought that Catholicism acts lie a cult. Catholicism is very loose. If you go to church or not it does not matter. Very few Catholics are serious about their faith. You can pretty much do as you please as a Catholic. Maybe years ago Catholics were serious about their faith but few are anymore. Now the JW’s are definitely a Cult. They occupy all your time with meetings, mental propaganda, hundreds and hundreds of rules, the “ELDERS” are always watching touy, they are intent on you proselytizing day in and ay out. They monitor nearly every aspect of our life. Anyone NOT a Jw is considered bad association and even many KW’s if they are not 100% JW are considered bad to be with. If you decide to leave the religion they will punish you and not allow any of your JW friens to talk to you or even your family to talk with you.Jw’s a Cult YES! Catholics No. Are you saying Roman Catholicism was once a cult and now it’s not? Or because you didnt have faith in your beliefs while Catholic negates those that are devoteand go to mass more than just on Christmas and Easter. Your argument that JW’s are cults I say, yeah ok asI personally believe most if not all religions are by the authors definition cults. ostracized by mot other Catholics and that was when I was growing up in the 60’s and 70’s a much more conservative time than we have today. Most Catholics even today do not go to Church regularly but are still considered Catholics. You do not have to agree with any and all teachings of the Catholic Church to be a member. However for the most part you DO HAVE to agree with ALL WT teachings to be a JW. If you speak against it or express doubt you will be shunned and that is a sign of a true Cult. Ok if you say so. But I can tell by your comments you were never a devote Catholic. Just because you’re baptized as a child and went to mass, the pope may consider you a Catholic but to be devote you would have to pick up your cross and follow Him. If you were Catholic were you ever in fear of your soul being lost to eternal damnation? No? Then its not a true comparison.You’re arguing that jw’s are a cult and I’m arguing both religions and most others are cults. You’re funny. Frank. Quite the opposite. I was a staunch Catholic Growing up as a kid until my late teenage years. I would go to Mass every Sunday and may times during the week. I was an altar boy and as a11 year old would get up at 4:30 am to go to do altar Boy service for 5:30am Mass at the convent for the Nuns at the school I went to in their private chapel. I always got an A in religion and seriously considered becoming a priest or at least a “brother”. I would collect funds for the “POPES” poor children fund by selling candy and cookies and give my Money to the Church for that to feed the hungry people of the world. Yes, I did fear of burning in a hell of torment for not being a “good enough” Catholic or I feared that I might skip Mass on a Sunday and then Die that day and go to hell bc that was considered a Mortal sin missing mass on your own unless you were SICK. I feared for my Parents bc they were not that serious of Catholics as I was and my Mom would use curse words and I always prayed for Goa to forgive her and my Dad also would not go to Mass regularly. I would go to confession almost every Saturday so my soul would be clean the next day to receive the Eucharist. IN a similar way the JW’s and Catholics teach fear. The JW’s do not believe in Eternal damnation in Hell fire but they teach eternal destruction at Armageddon and no chance of eternal life if you are not a JW. Also, they both make you feel that whatever you are doing it is never enough to please God. When I became a JW looking back they used the same approach but it was more hard and guilt driven and they tried to use scripture to back it up whereas the Catholics did not use much scripture. As mentioned previously I don’t think most Catholics care or worry about it anymore but the Majority of JW’s do and they are obsessed with it day in and day out. The JW’s are mind controlled by the WT Society and their entire culture is surrounded by other JW’s. JUst bc a religion uses eternal damnation as a teaching does not make them a cult. Most religions teach a reward ( eternal l life , 72 virgins,higher levels of Godness, oneness with God ) and most teach some kind of punishment for not obeying God or rejecting God. I’m going through the same situation as you Celeste with my wife. She’s 100% “In the truth” (I refuse to call it the truth anymore) & any attempt to raise my doubts/questions with her just makes her angry that I’m “Going against Jehovah”. I fell totally trapped in this situation as I pretty sure she’d probably leave me if I left. She went to the elders recently because I raised some apostate thoughts which ended up in a meeting with 2 of them. I just want her to see it for what it really is without her Watchtower Goggles on. I think my husband is going crazy! I grew up a JW, even baptized at 12 years old. It is a cult! The constant fear of not surviving Armageddon for commiting even the seemingly smallest sin still haunts me 25 years later. I find planning for the future challenging still because that thought was so ingrained into my brain that there would be no future. Still waiting for Armageddon, all of the 144,000 must be dead by now. We had one of the last living ones in our congregation in the 80’s and she was 90 at that time. That’s 25 years out of the religion! When my stepmother divorced my father because he would no longer allow her to physically abuse my sister and myself, he was asked to step down as a ministerial servant and got very depressed. An elder said something to him after witnessing my stepmother punching me in the face for talking back to her. He never witnessed any abuse and we never dared speak up, he put an end to it as soon as he found out, unfortunately not until almost 4 years after it started. His ex wife spread the rumor he abused her and that’s why she divorced him because obviously divorce is a sin. My father became disillusioned because all of us (my father,sister, and myself) where shunned. Not disfellowshipped formally but we might as well have been. Nobody dared speak to us when we came to meetings. Clearly at 13 years old my twin and I needed to be punished for our fathers alleged crimes. He tried to commit suicide and we were sent to live with my worldly mother. Thankfully that was at 14 and we were able to have a some what normal teenagehood. Christ true brothers? Go ahead and google how many Christians were on earth until 1900 AD? The entire 144000 teaching does not make sense as taught by the WT. Wow there are new ones? A lot has changed in 25 years. That’s the thing about JW’s is these grifters are constantly changing things up. There was a time in JW history were smoking and gambling were perfectly ok. I never believed the 144,000 was real because nobody could tell me how exactly one would know they were part of the 144,000. It’s crazy so many people believe without questioning no matter how much common sense you use. My father who is an extremely intelligent man although none practicing still believe that to be the truth. Most of the kids I grew up with who are either disfellowshiped or no longer practicing believe it to be the truth. It’s baffling to me. Why would anyone want to believe the world is going to end any second, but while you’re waiting don’t live any kind of real existence. Blood transfusions were also encouraged and said it was a wonderful loving thing until around 1945 or so when the had new light! Organ transplants were considered cannibalism until the late 1960’s and then it was changed. So they can change anytime and you MUST go along w it or be DFD! Crazy stuff and Crazy mental distress. It is crazy stuff. I tell my kids about different things “when I was your age” and it’s nothing they can even remotely relate to or even believe fully. It is a driving factor in my life to make sure my kids don’t live through that or anything like it. I was not raised as a JW but became one when I was like 19-20 years old so at least I had something to relate it to from my past.Even when was a full fledged JW I always thought it was extreme some of these Idea the WT would come up with but like everybody else I was sold on the ODEA that the WT spoke for God and they MUST be right. I did not allow myself to think t much about it bc in my heart I knew they were on the extreme and Crazy side and I did not want to think I was in a Crazy religion! After like 20 years in the Cult I had t op accept the fact that they at Crazy! and a Cult that is getting worse.I rasied my kids in the Cult. Out of 3 children only 1 is still in it. Any thinking person in the JW’s has to realize it is extreme and Crazy. You would think so! My dad still believes with his whole heart that it’s true even though he hasn’t practiced for over 25 years and he was really screwed over by these people. Betrayed. I send him articles all the time and he has his mind set. He remembers all the regurgitated refutes for any accusation you cast. This is a very intelligent man who suffers from bipolar and probably ptsd because of a traumatic childhood. His older brother who is now an elder but still treats all of us like family, got him into it. It saved him from his miserable family. He didn’t get serious obviously until after he married my mother who was pregnant with us. When my mother was in labor he said he made a promise to God if we were born with 10 fingers and toes and were healthy he’d show us the truth. From then on he was an exteremist which eventually drove my worldly hard partying mother away. I’m writing all this in memoirs for my kids. It’s all so unbelievably crazy. I’ll have to find an article on all the updated truths. I don’t ever purposelly read their crazy propaganda. It’s so sickening. I wonder how he’d explain the 144,000 thing. I remember in the 80s he’d always say how wicked the world is and the end was very close. I always remind him and ask him what he thinks of the world now. They say the same thing now. In reality the World is a tough place but has always been like that. Some of us have easier lives than others and if we are grateful for what we have it makes life better. The WT is the best at scaring people .Don’t do anything with your life they say bc the end is SO Close. Just serve us and give us your $$ and all will be good. lol Man, they have hurt a lot of people. I couldn’t have said it better myself. It’s sick stuff and they can’t get away with it forever. It will catch up with them at some point. It has to. Pretty amazing how they can do such a good job at keeping their atrocities swept under the carpet for all these years. Hope fully now with the internet and people being connected they can no longer hide under the veil of a “quiet peaceful “religion. How can I get my Mother away from them without making her angry and disowning me?